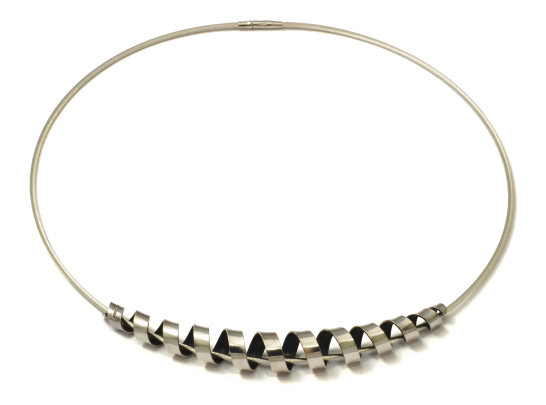 Distinctly tapered silver & oxidized (black) silver spiral coil on sterling silver flexible cable wire necklace. The two contrasting silver finishes create an unusual dynamics. Spiral length 9cm x 1.2cm (widest point).